This is my latest piece of holiday art. 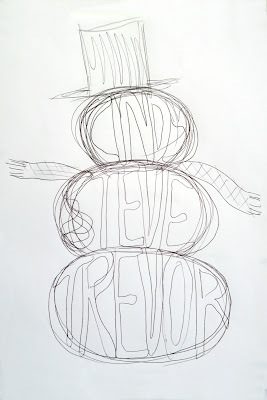 It combines three of my favorites: snowmen, name art, and my family! Our family of three fits nicely in a traditional snowman. If there were just two of us, I'd have put our names in the bottom two parts and drawn a face in the top one. 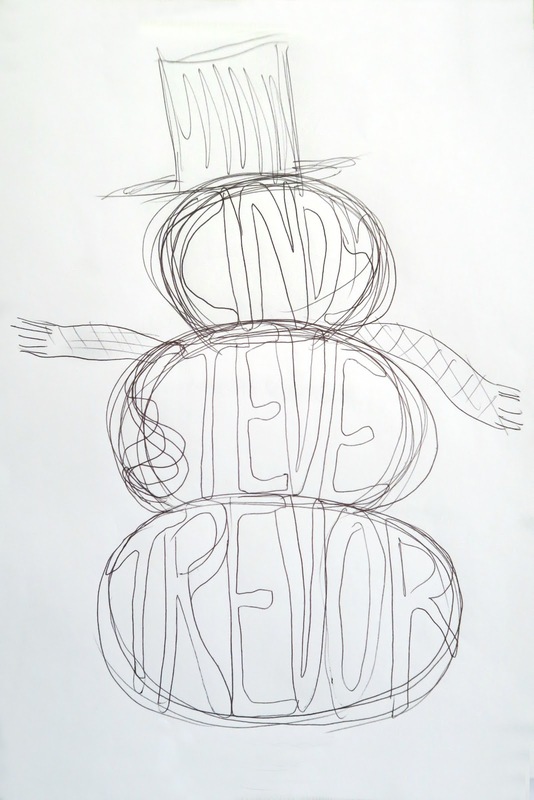 If you have more family members, add an extra ball of snow, put a name in the hat, or if your family is large, make two snowman! This is the sketch I doodled when I first came up with the idea. I stayed very true to my original plan, which does not always happen. When you are happy with the lettering, trace over it with a Sharpie, then erase the pencil marks. (Alternately, use a window or a light box to trace your design on a separate sheet of paper so that you don't have to do any erasing.) Cut out the completed snowman. Use black construction paper to piece together a top hat, then accent it with a little piece of holly cut from construction paper. Cut a scarf from red construction paper. 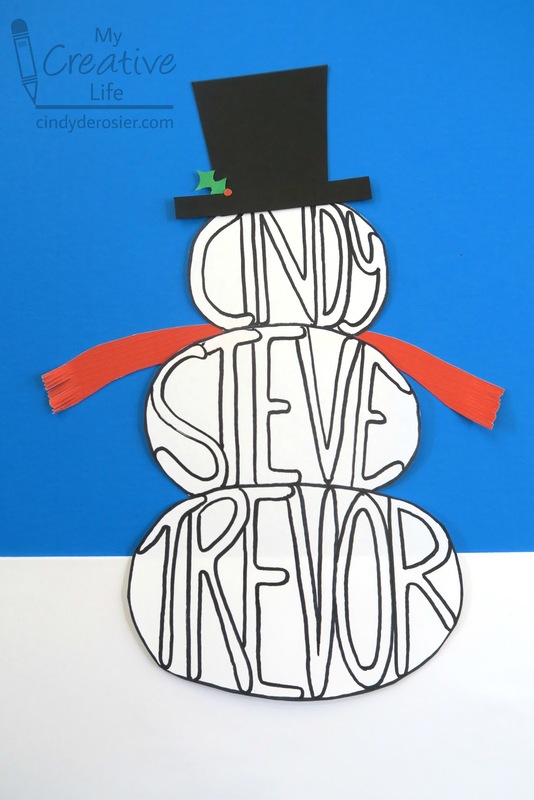 Cut a strip of white construction paper to make the snowy base the snowman is sitting on. Now it is time to assemble everything onto the blue background paper. Glue the snow down. Glue the scarf to the back of the snowman, then glue the snowman to the background paper. Add the hat and your art is ready to display!